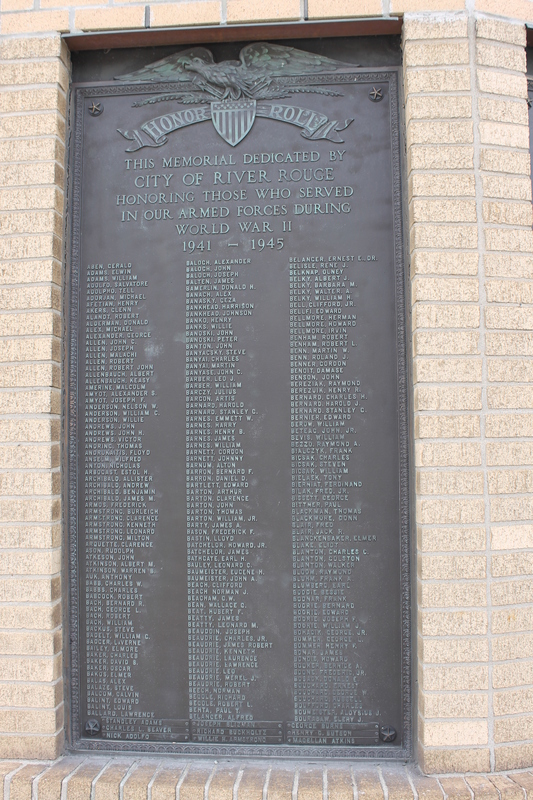 In 1948, on the triangular park at Jefferson, Pine, and Burke streets, an Honor Roll was dedicated to the memory of these men. 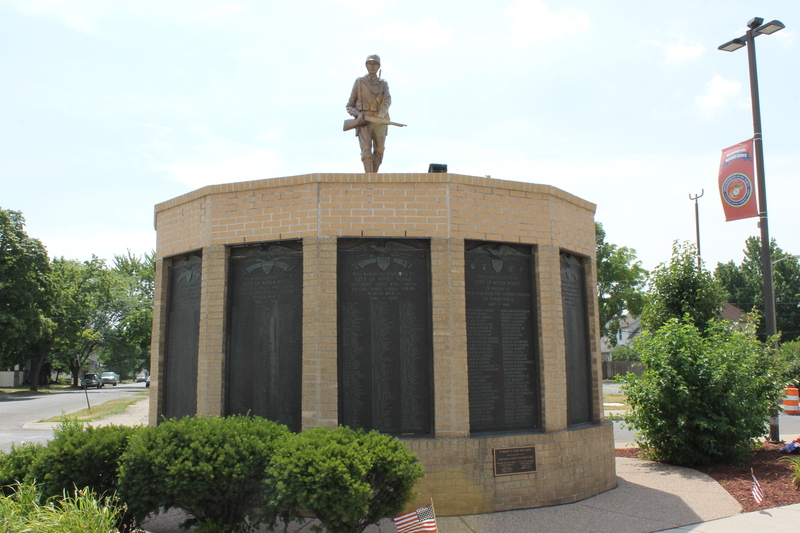 An eighteen foot pylon of Indiana Limestone with the statue of a soldier on top carries fourteen plaques. 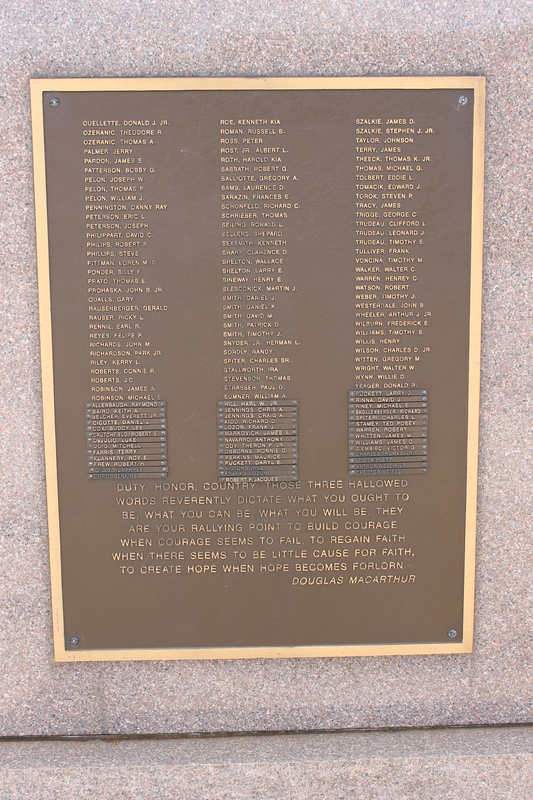 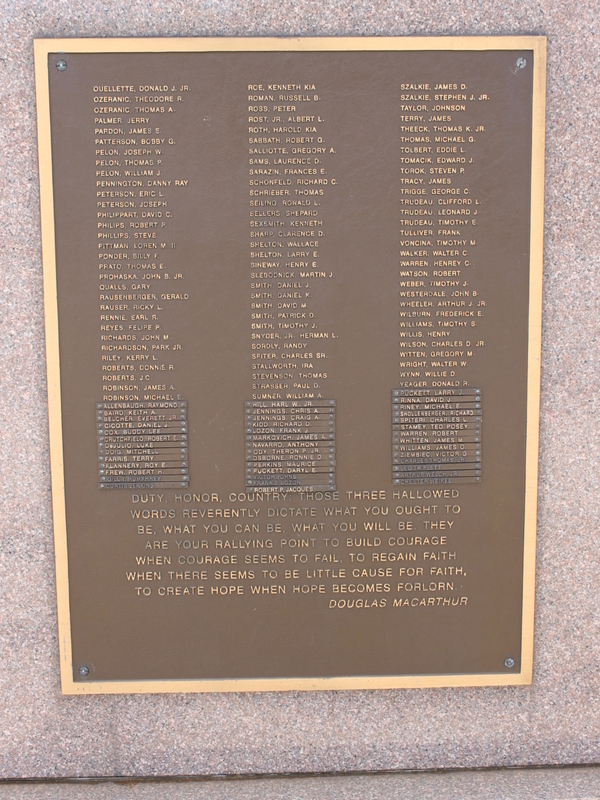 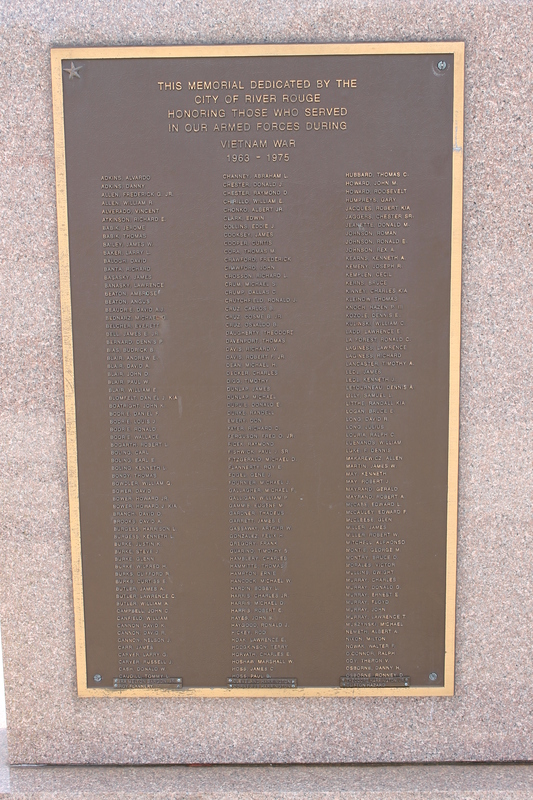 Cast in bronze re the names of the sixty-five Rouge men ho gave their lives and the names of the 2,250 persons who served in World War II. 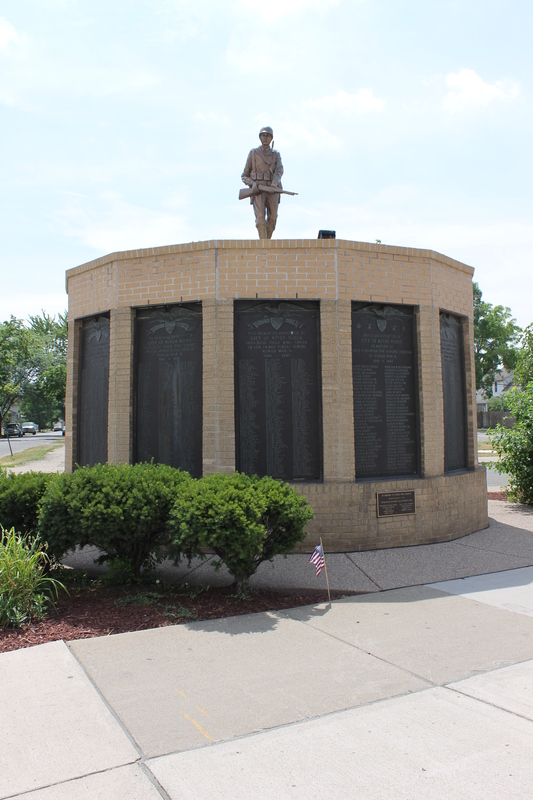 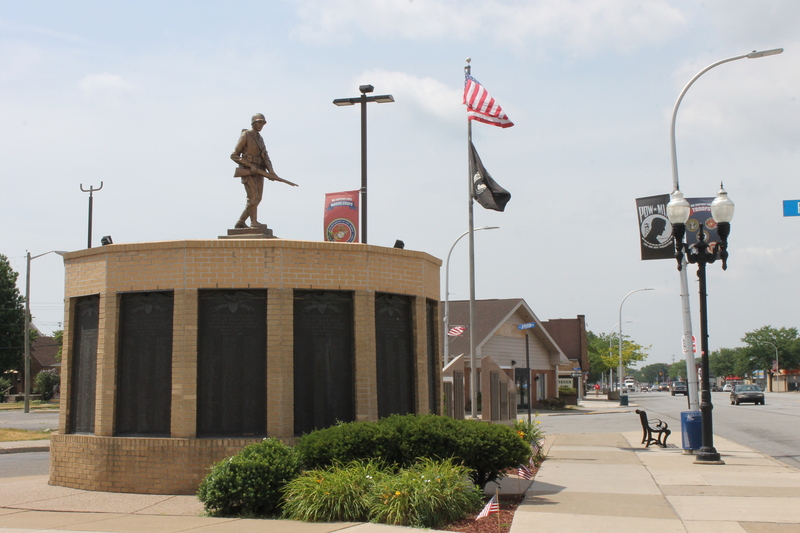 One plaque is dedicated to River Rouge men who served in any previous wars.